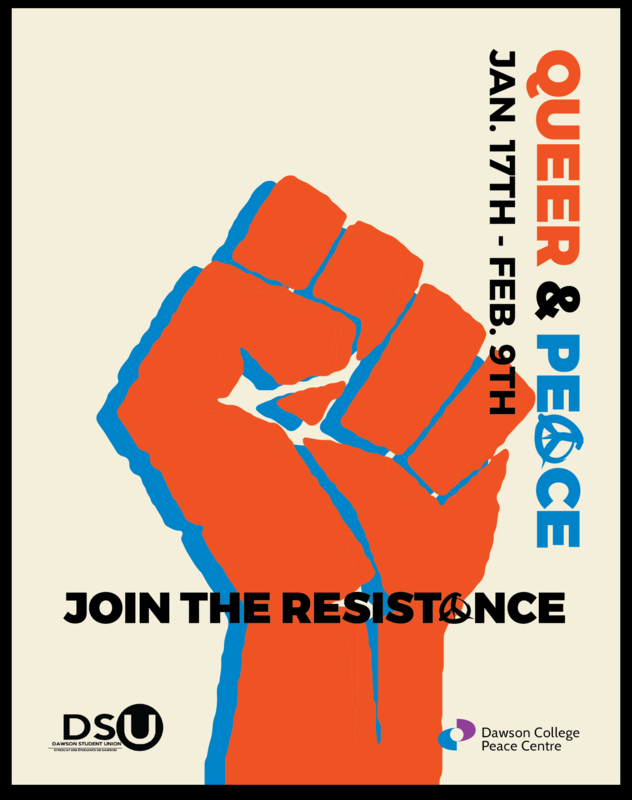 Join us for the vernissage of Queer & Peace on Jan 25th, at 5:30 pm in the Warren G Flowers Gallery. Watch a special performance, and admire the beautiful works of art by Daniel Barrow, Dayna Danger, Michel Dumont, Selina Edinger, Yue Feng Jiang Ben Liu, Jennifer Lynch, Kent Monkman, Catherine Opie, Monica Victoria and Christian Wick. There will be several weeks of additional programming, including workshops, speakers & panels that will be open to all members of the Dawson, and wider Montreal community.